Graphic tees are like a fashion must-have for me. I practically live in them, refusing to get out of them even when I have to dress up for a night out. 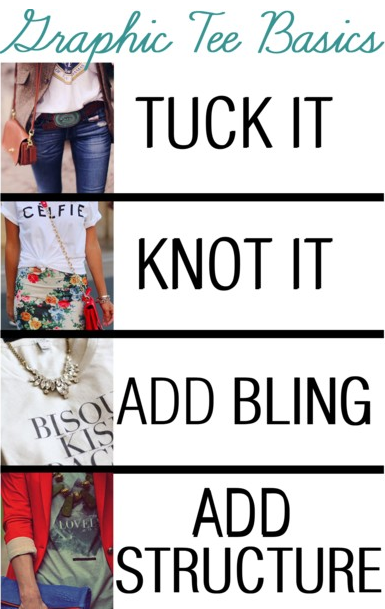 They are such a versatile piece in your wardrobe and over the years I have figured out ways to dress them up or down according to the occasion. 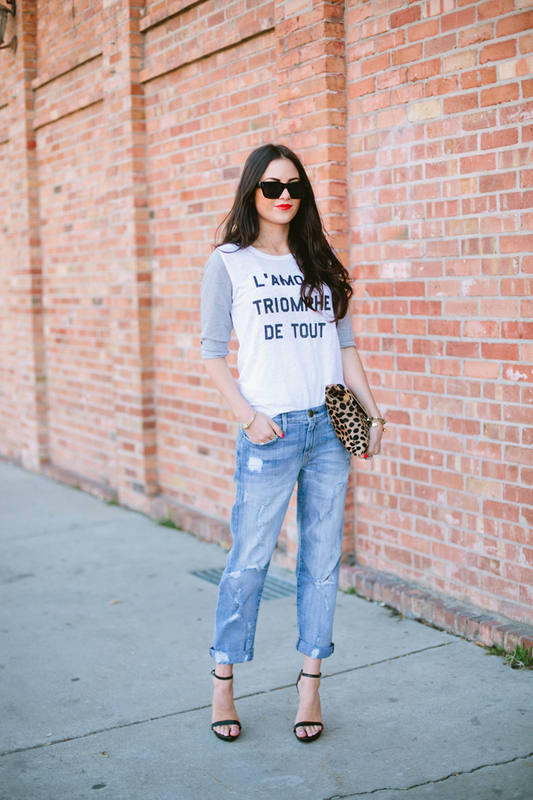 I believe no one could be too old to sport a tee, it just needs to be styled appropriately. In my humble opinion, imagination and fashion goes hand in hand. It is the element of creativity that adds cheer to our wardrobe. Here is the basic idea behind how I style my graphic tees, and I promise you will never feel like getting out of them evvvaaaaaa, like seriously …..
Pencil skirts are an easy way to dress up the humble graphic tee. Simply tuck it in your skirt, add a chunky necklace and heels, and there you have it- a perfect dressy outfit, perfect for a night out or even a first date. 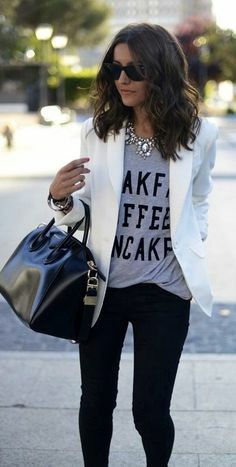 Pair your favorite tee with a structured blazer and work this look even on casual Fridays at office. 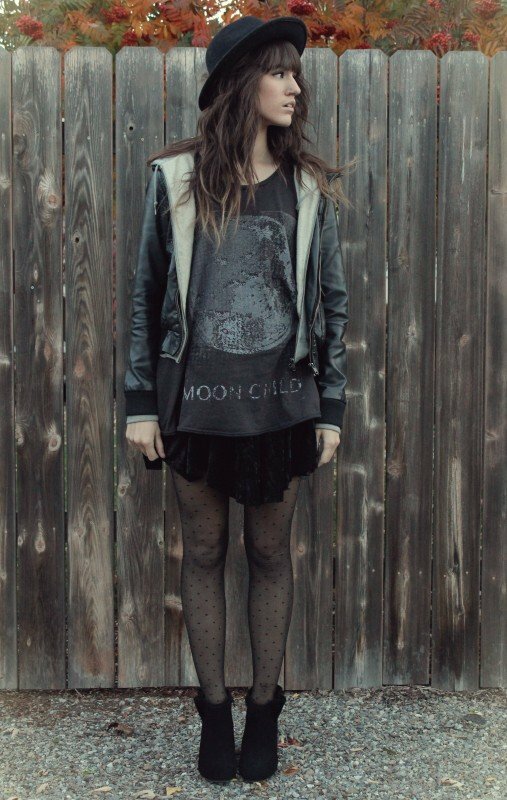 Leggings+Graphic tee, heaven on earth! Can’t think of a more comfy combo. Rock this outfit for an airport chic look or throw in a pair of heels for that extra oomph. I hope you liked my way of styling the graphic tee, and that you will give them a try. Do post your recreations on facebook, twitter or instagram and please do tag me, I would absolutely love to see them.